The Mortal Kombat 11 official story trailer was revealed recently and was full with spoilers, showcasing the twists and new encounters that we will see in Mortal Kombat 11. Mortal Kombat 11 is slated to release worldwide on April 23, 2019 across multiple platforms such as PC, PS4, Nintendo Switch and Xbox One. Mortal Kombat 11 will take you to the roots of the series as the game will focus on time travel and similar themes. The main antagonist in Mortal Kombat 11 is Kronika: The Keeper of Time. As the name suggests Kronika can manipulate time, which also explains why we got to see two Johnny Cage characters in the story trailer. 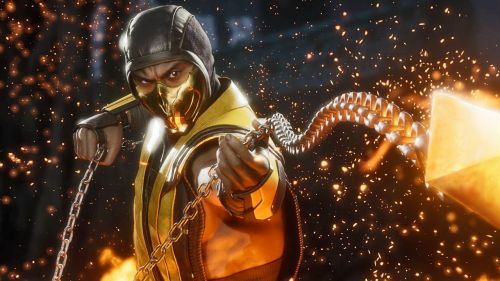 Mortal Kombat 11 may feature multiple character versions of some characters from past. Even a recent tweet on the games official twitter page quoted "Allies, past and present, will be called upon to protect the realms from Kronika". Mortal Kombat 11 will take you back in time and let you explore and rewrite the 26-year history of Mortal Kombat. I explained the story of Mortal Kombat 11 in one of my old articles that about how Mortal Kombat 11 story will change the entire events of the Mortal Kombat Series and how Kronika has been staging the events from Mortal Kombat 1 to Mortal Kombat X. The Mortal Kombat 11 new story trailer also revealed some major plots. We got to see Raiden visiting the elder gods for help about the crisis that Kronika brought with her. In Mortal Kombat 11, you will also get to see some of your favorite neutral and enemy characters joining the earth realm forces to defeat Kronika and her followers. Meanwhile, we will also make new alliances with some of the traditional villains of the series. Mortal Kombat 11 Rumors: Is Ronda Rousey playing a major character in the upcoming game?